Scientific research into the extraordinary eyes of the mantis shrimp of the Great Barrier Reef in Australia may lead to the development of the next generation of optical computers and media. While the human eye contains only 3 types of cells that are able to perceive color, certain varieties of mantis shrimp can have 12. 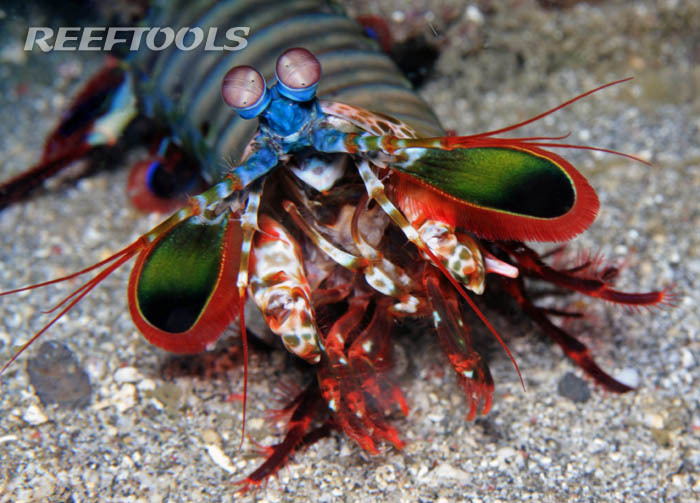 The mantis shrimp is able to move each eye independently of the other, and can focus on an item with three different zones in each eye. The mantis shrimp is also able to detect light waves traveling on a helical corkscrew path, known as circularly polarized light. 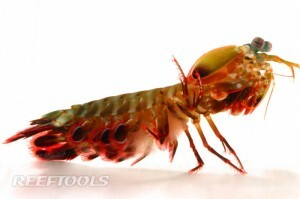 This ability is unique to the mantis shrimp as no other animal shares this ability. Researcher Nicholas Roberts of the University of Bristol (U.K.), has discovered that the mantis shrimp’s eyes are able to convert circularly polarized light into linearly polarized light, and vice versa, with the help of unique light-sensitive cells called rhabdoms. Essentially, Roberts notes, rhabdoms operate similarly to quarter-wave plates, which are the components inside DVD, CD and other optical equipment. The remarkable aspect of the mantis shrimp’s eyes, is that they are able to switch between polarization states across the complete light spectrum, where as synthetic wave plates are limited to one wavelength, or color of light. Roberts is hopeful that engineers might be able to mimic this ability using liquid crystals. This will lead to improved performance with technologies such as Blu-Ray, which employs multiple wavelengths of light. Again, it seems that nature has the upper hand.